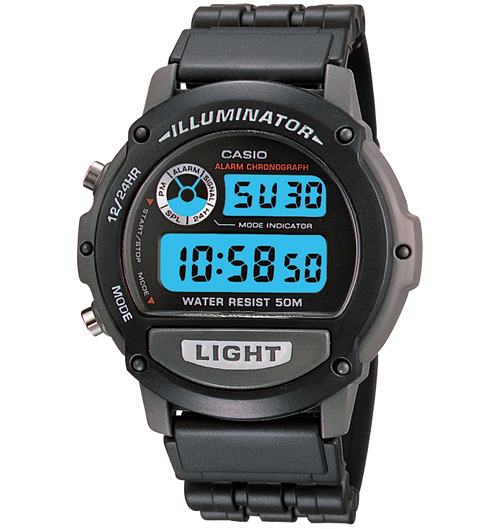 Whether it's soccer, football or track and field, this timeless classic is the watch to have. 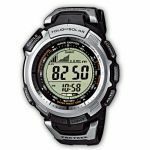 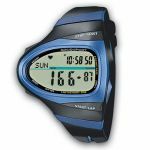 With its stopwatch that can measure elapsed time, split time and 1st-2nd place times, it's perfect for any sport. 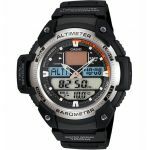 And with the added features of a daily alarm, hourly time signal and auto calendar, you'll never miss a game again. Black Casual Sports Watch featuring a resin band and a 5- Year Battery Life.